Studies show an increasing number of women affected by PCOS a leading cause of infertility. 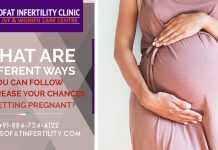 This infertility problem manifests a lot of signs and symptoms that are a sign of danger to a woman’s life. PCOS OR Polycystic Ovarian Syndrome is an endocrine disorder among women who are expected to produce children. A woman with PCOS has hormonal imbalances and will always produce immature eggs. The uterus will also have different problems which will hinder the development of the fetus. Insulin is a hormone produced by the pancreas in the body. Insulin aids in glucose absorption in the body after which energy is produced. The glucose is acquired from the foods and drinks that a human takes in and after digestion. Where the insulin is not properly utilized in the body, the sugar levels will increase hence bringing about a disease called diabetes. Insulin resistance is a situation where the body needs more insulin to keep the blood sugars normal. PCOS and Obesity are the leading causes of insulin resistance in women. Women with insulin resistance experience a condition called acanthosis nigricans where the skin becomes darker. This can occur on the back, the neck, the groin region, or in the armpits. The insulin resistance also causes the androgen levels in a woman to rise, which makes it difficult for her to menstruate. Depending on the diagnosis results, a doctor will provide treatment. PCOS can never be effectively treated unless the actual cause in a woman is determined. Due to its silence in the early stages, most times it goes undetected in most women until there are bigger symptoms. 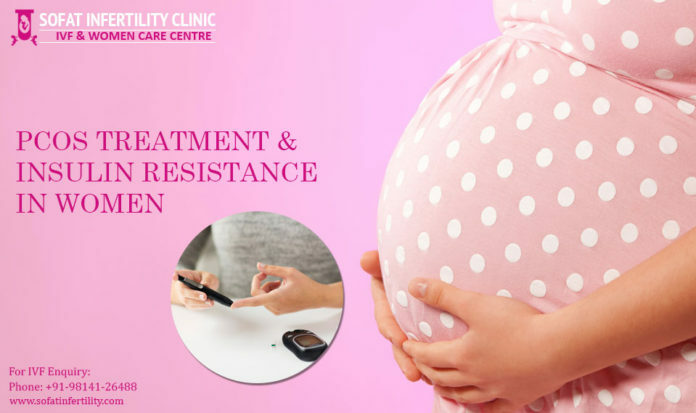 PCOS treatment in India can be completed by practicing its management at home in cases where there are high insulin levels in a woman. Metformin is the medication used to regulate sugar levels in a woman by making the body sensitive to insulin. This treatment will decrease the chances of diabetes type 2 to develop in women. In cases of obesity, a woman is advised to have regular exercises, eat healthy and lower the fasting blood sugars. Metformin a major medication used to treat PCOS is not costly. It can range from Rs. 15 to Rs.25. It can be taken in the form of tablets or syrup. Other related costs can be determined depending on the treatment used.